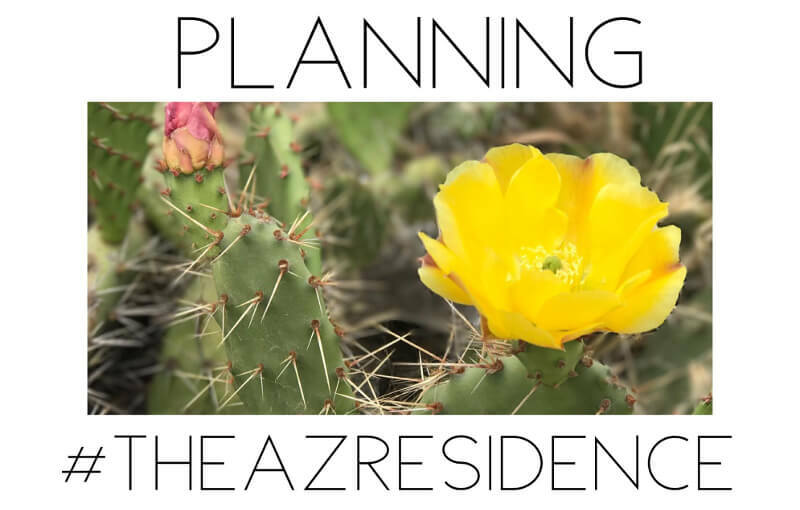 Welcome to the second installment in the series of posts from Window Works contributor, Erin H. Brown, as she documents her latest journey – #TheAzResidence. 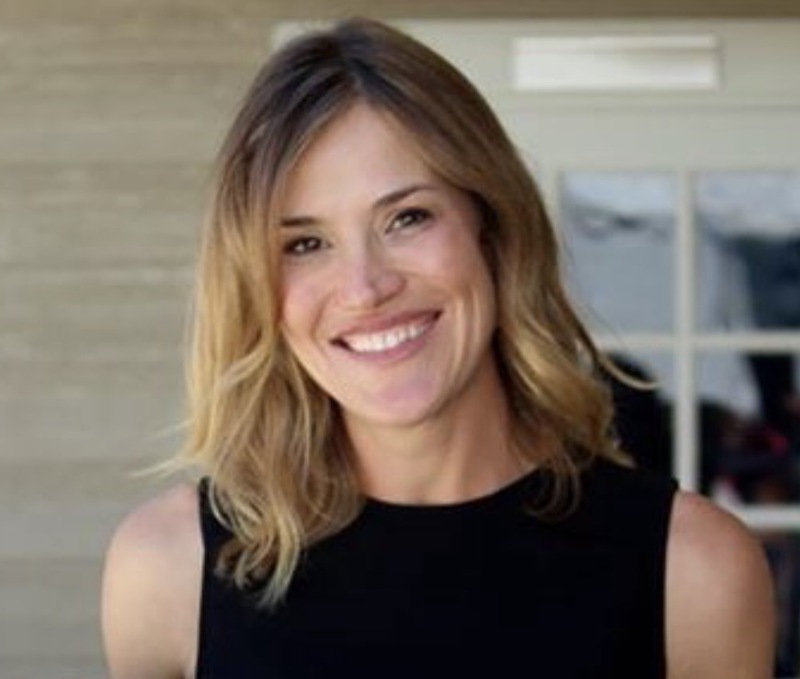 If you haven’t been following along, you’ll want to CLICK HERE to learn all about Erin and then read her FIRST INSTALLMENT. You know that moment when you walk in a house and you can see the potential immediately? Mentally, walls have come down, flooring is replaced and you have oh-so-simply moved the kitchen four feet to the right. As my sweet mom said, “That’s a whole new kitchen then, right?” Yes, my mom succinctly puts into words that nothing is simple about moving parts of a house around so there can be no shortage of planning. But planning takes time and patience is my enemy since I can see the ultimate vision now! Sigh. I think it was the Carly Waters episode on A Well-Designed Business® that gave me a deep sense of relief for the first time since buying the home and undertaking this project. She said after a bunch of handyman “bandaids” for her first project that her future projects always had oversight & planning from the beginning. Yes! Some reassurance that I am making wise decisions. 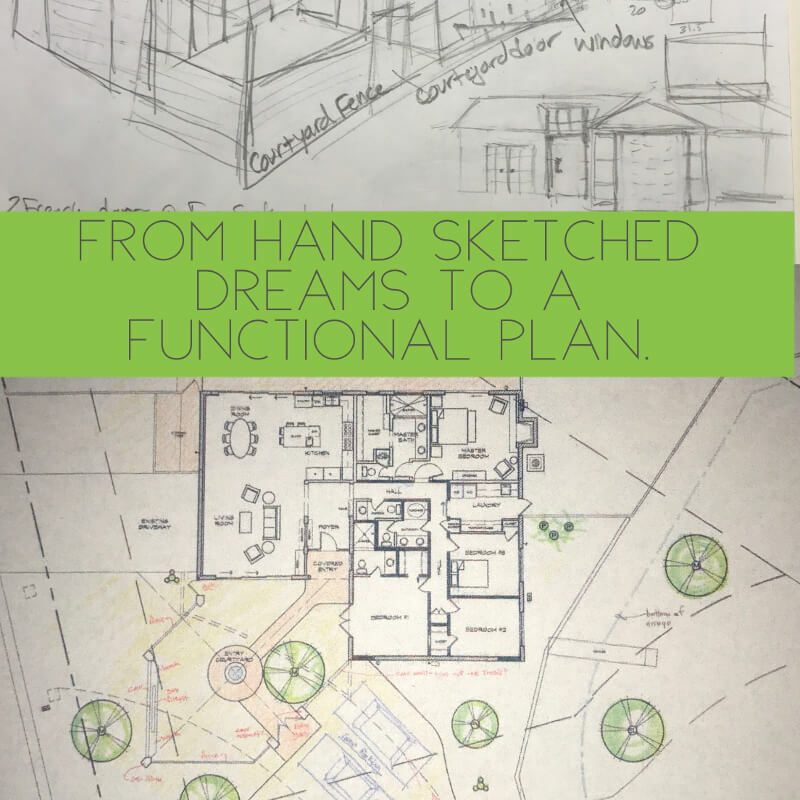 Although, I still struggle to plan thoroughly at times because I want my finished home vision NOW! Who cares if my hand sketch isn’t to scale? Ha! That’s where a great architect comes in the picture. A thoughtful & thorough architect has proved be the most critical piece of the renovation puzzle. Greg Schouten is both, he has made certain my vision is, first and foremost, code compliant but also confirming the home will not only work for my future guests but also for my budget. For example: Me I want the wall converted into floor to ceiling windows in order to see the mountain range. Greg: If you’ll allow a few inches of drywall at the top you will be able to save money with the type of header you’ll need. Ok, let’s make savvy design decisions ahead of time then! Patting myself on the back quickly concludes as Greg sends me a list of questions as I board a flight. Question 5 of 13 had me a bit concerned, once again doubt creeps in my mind. Am I biting off far more than my renovating chops can handle? Question 5: Style for new back patio? Flat roof with parapet? Or Flat roof exposed and drain over edge with metal fascia? If parapet what exterior wall material: wood siding, board and batten, stucco? Fiber/cement board in lieu of wood siding? 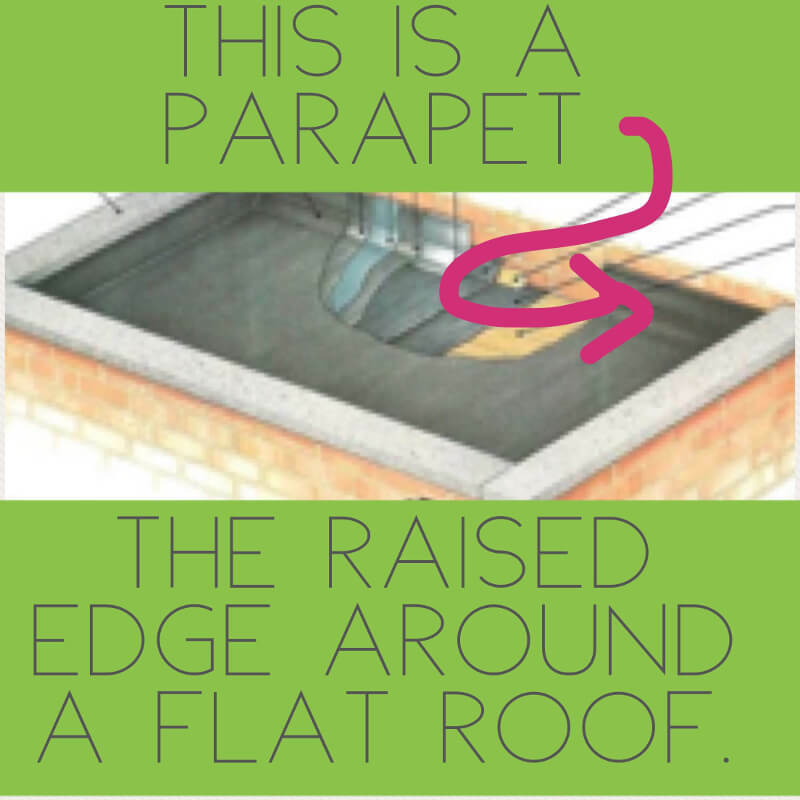 Forget everything else, what in the world is a parapet? Is this a new invention? Anyone in construction will probably just pity my ignorance. Considering I have lived under a roof all my life the word ‘parapet’ still made me want to slam my head against the airplane tray table and just give up. I know, I know, the definitions, images & diagrams are literally just a few google taps away but it was more of a straw breaking the design camel’s back situation. My confidence apparently hinges on a working knowledge of every English word related to home construction. Or at least this dramatic moment made it so. Ok, deep breath and feverish google searches ensue. Pictures of parapets are not so easy to find however. When it is finally revealed, I don’t even want a parapet! Thank God! I suppose the real lesson of renovation & planning is one of patience. Patience with the process. Patience with myself (and others) during this process. Planning may be the death of impatience but it seems likely the birth of wisdom. Be well & plan for success, Design Friends.